What is a Red Star Poker Rake Race? We are constantly hosting new Red Star poker rake races for our users.. If you haven’t heard of a rake race before; the concept is simple. At the start of the month, there is a prize pool set up (this month it is $15,000, but it changes). Red Star Poker will track how much rake you earn and at the end of the month everyone’s totals are tallied and you will win depending on what place you get in the leaderboard. Some players may feel discouraged because they play at lower stakes limits so they figure they can never win the best prizes. While it may be hard to win 1st or 2nd at the smallest limits; there are some months when hundreds of players will get paid. Even winning $50-$100 can drastically increase your win rate – especially when there are no deductions from your rakeback. Winning this money is totally extra and in no way limits the amount of rakeback you will earn for the month. It was just a special promotion that we run to encourage new players to sign up for Red Star Poker and specifically to sign up through our website. If you end up placing in one of our Red Star Poker rake races your winnings may take a week or two to be deposited. Our stats aren’t always updated immediately and Red Star Poker sometimes updates them after a few days when the month is over. If you don’t receive your payment before the 2nd week of the month – feel free to contact me. 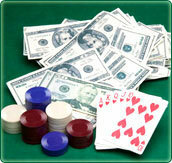 Keep checking our Red Star Poker promotions updates for information on the current month.